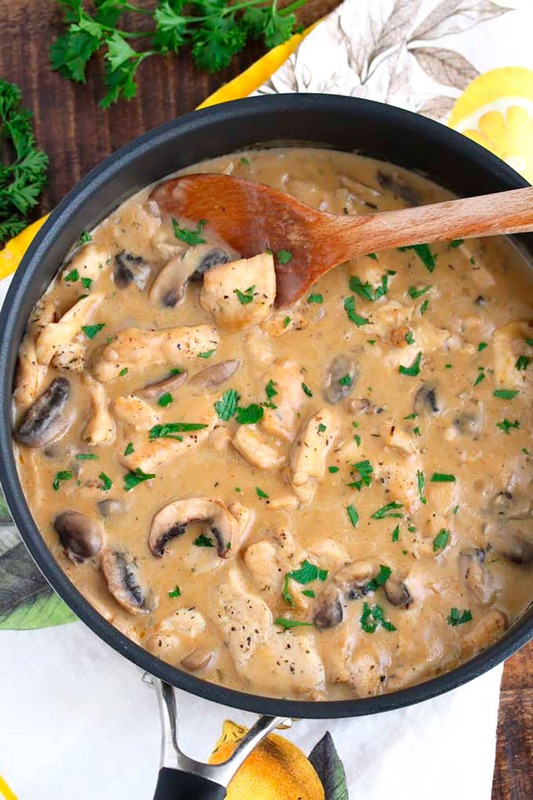 Chicken Stroganoff is made with tender chicken and mushrooms cooked in a creamy and decadent sauce. This mouthwatering Stroganoff recipe takes about 40 minutes to make and it’s the perfect comfort food dish for a weeknight meal! There’s nothing better than a creamy chicken and noodles dish. 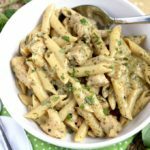 This hearty Chicken Stroganoff recipe delivers so much flavor and is always a big hit at dinner time. 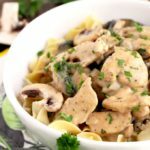 I totally get why everyone loves Chicken Stroganoff, juicy chicken pieces smothered in a tasty and creamy mushroom sauce, served over tender egg noodles is absolutely an amazing meal! Trust me your family will love it! 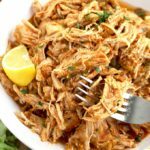 I always have boneless skinless chicken breasts in my freezer, so having simple and tasty chicken breast recipes handy are a must for me. 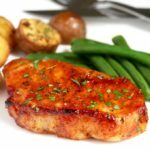 Boneless chicken breasts cook fairly quickly and chicken dinners are always welcome at my house. 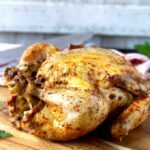 This classic Chicken a la King is one of our favorites! 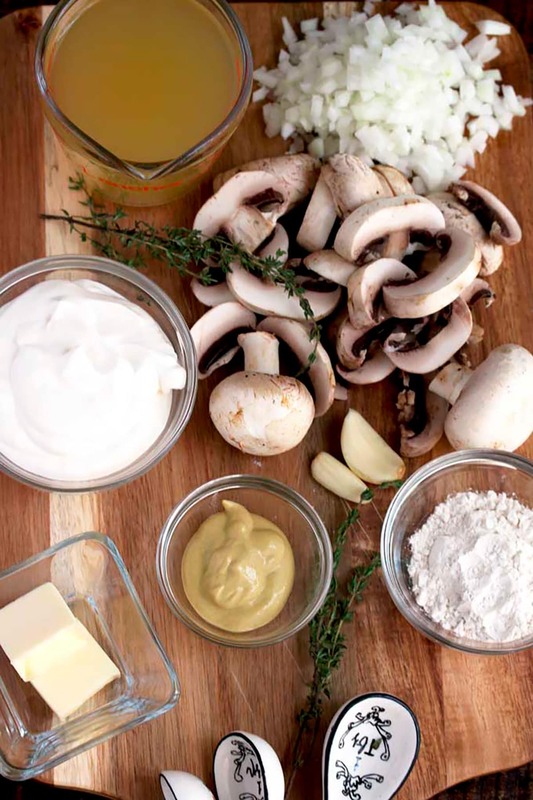 To make this Stroganoff recipe I use simple and fresh ingredients (no can of mushroom soup to make the sauce), just some chopped onions, garlic and mushrooms. 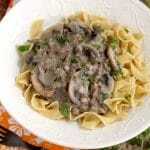 Although I used white mushrooms to make this dish, you can use cremini or portobello mushrooms as well. Season the chicken pieces with salt, pepper, dried thyme, paprika and garlic powder. In a large skillet saute the chicken. Remove it from the skillet (the chicken may not be cooked through, don’t worry, it will finish cooking in the sauce). In the same skillet, melt some butter. Saute the onions, garlic and mushrooms. Add the remaining butter and flour and cook for a minute. Pour the wine and cook for 2 minutes. Scrape the bottom of the skillet with a wooden spoon to get all the brown bits that are stuck at the bottom. Stir in the broth, mustard and Worcestershire sauce. Return the chicken to the skillet and simmer. At this point, you can cook the egg noodles. Add the sour cream to the sauce and season to taste with salt and pepper. You can use fresh thyme instead of dried thyme for this recipe. Instead of adding it to the chicken, add it to the (right after adding the broth). WANT TO MAKE THIS CHICKEN STROGANOFF? 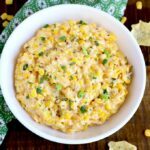 PIN IT TO YOUR DINNER OR CHICKEN BOARD TO MAKE IT LATER!! 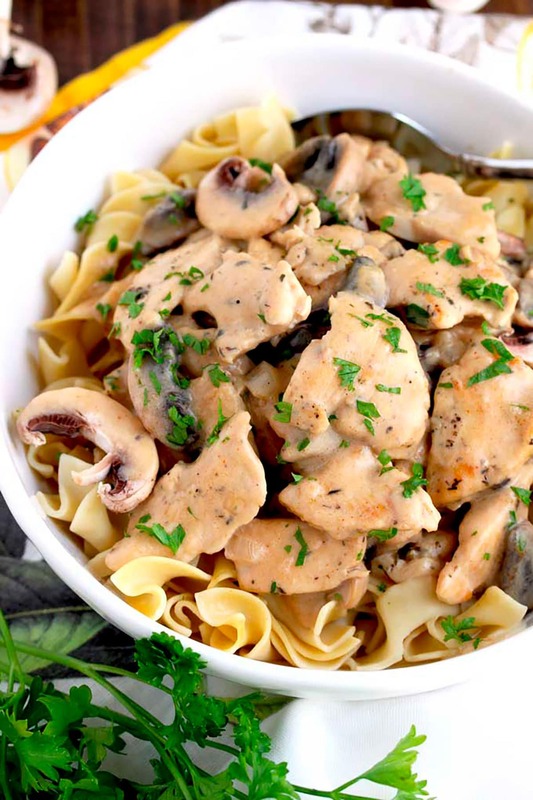 Chicken Stroganoff is made with tender chicken and mushrooms cooked in a creamy and decadent sauce. This mouthwatering Stroganoff recipe takes about 40 minutes to make and it's the perfect comfort food dish for a weeknight meal! Place the chicken into a bowl. Season he chicken with salt, pepper, thyme, paprika and garlic powder. Set aside. Heat 1 tablespoon of oil in a large skillet over medium - high heat. Working in two batches, add the chicken and cook for about 5 minutes or until they start to turn golden brown, stirring as needed. Add the remaining oil as needed through the cooking process. Remove the chicken from the skillet. In the same skillet, melt 2 tablespoons of butter. Add the onion and cook until slightly soft, about 2 minutes. Add the garlic and cook for about a minute. Add the mushrooms and saute, stirring until they begin to brown, about 4 minutes. Add the remaining 1 tablespoon of butter to the skillet, when melted stir in the flour. Stir until all the ingredients seem incorporated. Cook the mixture for about 1 - 2 minutes. Pour the wine and with a spoon (I use a wooden spoon) scrap down the brown bits collected at the bottom of the skillet. Reduce the wine for about 2 minutes. Add half of the broth slowly while stirring. When incorporated, add the remaining broth. Stir in the mustard and Worcestershire sauce, Return the chicken to the pan and bring to a gentle simmer. Cook for about 5 - 6 minutes, or until the chicken is cooked through. The sauce will thickened as you simmer. Add the sour cream and stir well to combine. Simmer for an additional 2 minutes, making sure the sauce doesn't boil. Add salt and pepper to taste and remove from the heat. 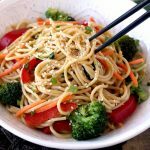 Serve over hot egg noodles and garnish with chopped parsley. Previous Post: « Lemon Drop Cocktail ~ Sunshine In A Glass! this looks amazing!! I love comfort food (who doesn’t) and can’t wait til it’s cold out so I can get my comfort on!! Right? Nothing like a chicken and a creamy sauce over noodles! We just made this awesome chicken stroganoff for dinner tonight and our kids helped. 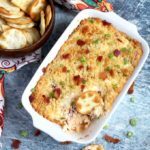 It was a hit by everyone and I have to say the sour cream really helps bring the flavors all together in this delicious and comforting recipe! 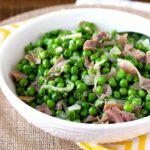 This sounds amazing, I love how simple this is to make, perfect for dinner! We eat chicken a couple of times a week and always try to try different recipes. My family is going to love this one, especially paired with that delicious sauce! I love stroganoff but I can never get the beef tender enough. I love this chicken option! Thank you! It’s so very tasty. 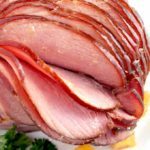 I am so happy to have found this recipe. We are always looking for new ways to enjoy chicken. 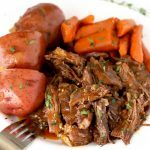 You can bet we are adding this to our meals this week! This one is moving to the top of my menu for the week! I’ve made beef stroganoff but not chicken, so definitely giving it a try. YUM!!! I love the concept of a chicken stroganoff! …. 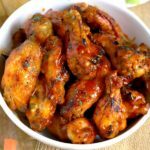 its so affordable and all of the seasonings you have I know it will taste amazing! Thanks for sharing! Thank you so much! Glad you all liked it!